It’s been a couple of days since I returned home from the Wild At Heart Boot Camp. As I mentioned in my previous post, I had a powerful experience while in Colorado The challenge faced, however is what next. It can be very easy in this world to go back to life as normal and not put a thought again to the experience. I could put aside all that God showed me and move back to my work life and not do anything further. I didn’t get a chance to meet everybody, and I would hate it, but I am certain this happens for guys. You get back to the world and everything begins to revert. I pray that this is not the case, but this world and the enemy are vicious. When we are back to our normal lives it can be very easy to make agreements with what the enemy and the world tells us. Most men are taken out because they make agreements with the enemy. These agreements can be very simple or more complex. You may think you just don’t have it in you to pursue what you feel called to. You may just think you’re not good enough or don’t have the strength. These are agreements the the enemy may throw at you and if you agree it can take you out. Once you make those agreements, everything begins to filter through them and the enemy will setup shop right there. We are constantly at war in this world. Coming back from an event as powerful as the Wild At Heart Boot Camp, the enemy is going to throw whatever he can at you to pull you back down. I can hear him trying to pull me back. I know it’s only been a couple of days, but the battle begins now with even more relentlessness. I have to arm myself each day in prayer and the Word in order keep myself from falling back to the old man or my false self. 1 Peter 5 says that we must stand firm against the enemy and be strong. He prowls around like a like looking for someone to devour. In John 10:10, Jesus tells us that “the thief’s purpose is to steal and kill and destroy.” Jesus had to encounter this battle everyday. Spiritual warfare is very real and we have to be armed and ready to deal with anything the enemy will throw at us. Jesus did not mean for us to come along and stand by and take it like good little Christians. No…Jesus came not to bring peace, but a sword (Matthew 10:34). He came to do battle. God is a warrior. Exodus 15:3, “The Lord is a warrior; The Lord is His name.” Man is a warrior; Man is his name. We are made to fight and fight we must. As John told us at Boot Camp, denial of the heart is the heart of human struggle. Many in this world, even in churches are like the Hobbits in The Lord of The Rings. Naive, clueless, or in flat out denial of how ugly the battle actually is. Look at our brothers and sisters in the faith getting martyred around the world because they refuse to renounce their faith. The enemy is out to destroy our faith. When Satan was cast out of Heaven, he decided to go after God’s heart by destroying the thing He really loved. That’s His image bearers…us. For me, this is a time for resolve. To stand firm in my faith and where God has taken me. To arm myself everyday and everything under my authority in Christ. I know I am trouble for the enemy now as is anyone who will stand strong in their faith. We cannot skate along singing kumbaya pretending nothing is happening. Call evil for what it is. Just like the Islamic evil that is faced everyday in the Middle East. It is the enemy at work. We have to stop sitting in our little small world and stand firm. So arm yourself. Don’t sit back waiting for things to happen. Don’t let the enemy sink his claws into you. Don’t walk through life alone and let the enemy push you deeper or back into your wounds and agreements. Stand firm in your faith in Christ. Ephesians 6 says be strong in the Lord…put on every piece of God’s armor so you will be ready to resist the enemy. I’m no longer going to be partially in. I am all in now for good. This entry was posted in 4 Stream Blog, Spiritual Warfare and tagged 4 Streams, Spiritual Strength, Spiritual Warfare on February 4, 2015 by Richard Clinton. How often have you had those moments where you get so angry that you just want to rage out? It’s something that, as humans, is a very real and common emotion and reaction to situations particularly when we feel we’ve been wronged or someone we care about has been wronged. When those moments come, how you handle them? Do you let fester until you get to the breaking point, do you lash out immediately, or try your best to remove yourself from the situation before it gets too far? I’m no stranger to anger believe me and I have probably had every one of these reactions at some point. This came to mind to discuss after an incident occurred a few days back that about drove me to the point where I was going to break. I won’t get into those details, but it was a situation where I felt some kids were wronged and the longer I saw it occur, the madder I became. To the point where I finally did burst out more than I should have. I did not get out of control, but I certainly let my anger be known. For those that know me personally, they know it takes quite a bit to get me riled up and this situation pushed me there. 15 years ago, I wouldn’t have cared so much. My wife and I joke about it now, but when I was younger, I was quick to snap if I got even just a look from someone I did not care for. I’ve sense grown from that, and now it’s something where I stay as calm as I can through it. Truth be told, I hate conflict. So, as I reflected on the situation after walking away from it, I realized that maybe I needed to check my reaction. I knew I was justified in my anger, but I probably did not go about handling it as best I could. That night and especially the couple days, I went into scripture and prayer. Just like any battle that comes in life, anger is an emotion that can go too far. Paul says in Ephesians 4:26-27, “…don’t let the sun go down while you are still angry, for anger gives a foothold to the devil.” Anger can consume you and if you don’t control it, it distorts your thinking and your emotions. In Daniel 3:19, Nebuchadnezzar became so enraged that his face became distorted. Anger is a spiritual battle we all have to deal with in this world. While it may be easy to just unleash, the best thing you can do before going to far is to step back and pray and immerse yourself in God’s Word. There you can find the peace you need to handle the situation. This does not mean that confronting those that wronged you is not needed, but having the right motives and mindset when confronting will resolve the issues a lot better. Now, I write this, but this mean I won’t get angry again…of course not. In this fallen world, it will happen again and again to us all. I just know the more I grow spiritually, that I need to find a way to manage myself and my anger so I don’t take it to a point that we don’t want it go. G.M. Trevelyan stated, “Anger is a momentary madness, so control your passion or it will control you.” This is the biggest thing. Don’t let your anger get the better of you and let the adversary infiltrate you more. Seek God and you can fight this battle and win. 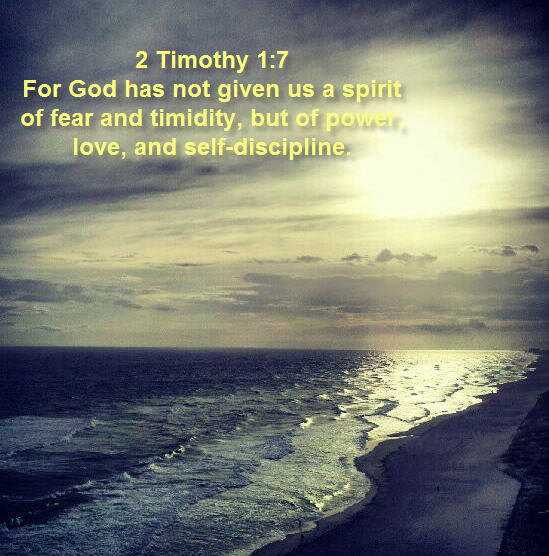 This entry was posted in 4 Stream Blog, Spiritual Warfare and tagged 4 Pillars, Adversity, Anger, Spiritual Strength on February 25, 2014 by Richard Clinton.